Happy New Year! I meant to say this about a month ago but then a nappy or two got in the way as did a Nihola Gay trike. Yes, it’s been trike, trike and more triking tra la la with a side dish of trailer-bike triking to boot. And what heady fun it’s been too. So here’s a few snap shots to get you in the swing.? 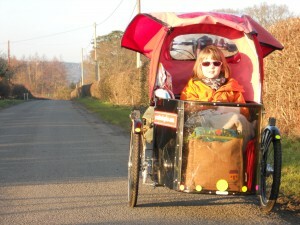 The Terminator - otherwise known as Molly coming home from school in style in a very welcome bit of low-lying wintry sun. I tried to get her to smile but I don't think she found my jokes or my standing on my head in the middle of the road very funny. But I think the passing pheasant did. The optional extra trike - when your passenger has had enough of sitting in the box, put them on the back and let them push you. Molly demonstrating a rear tyre shredded on another of my bikes. 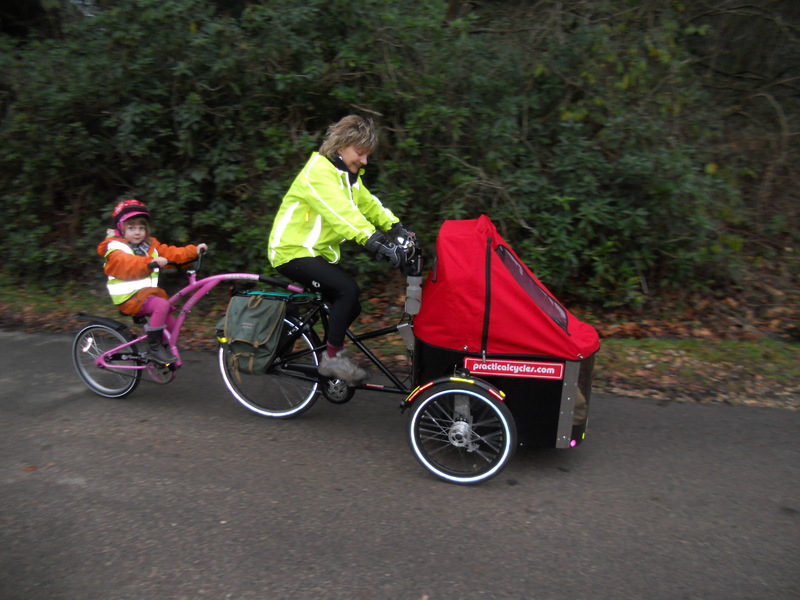 But I still highly recommend them - no punctures! 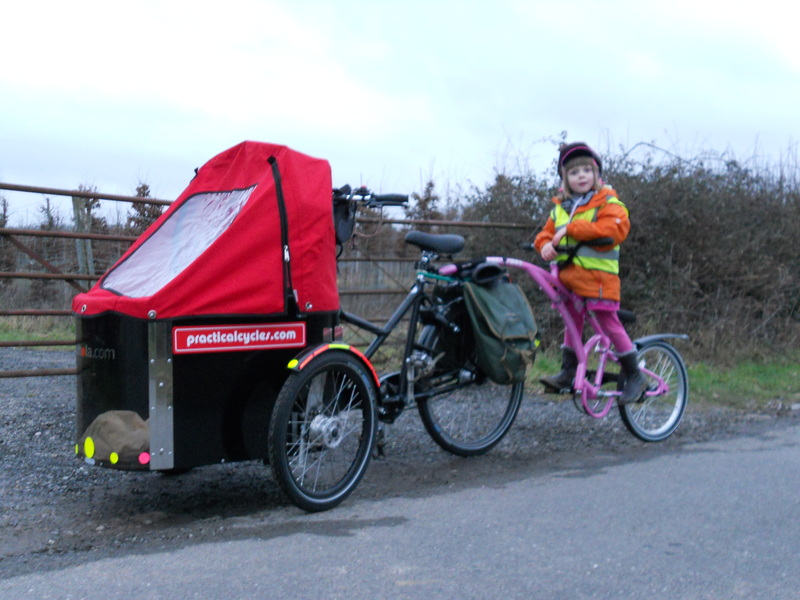 It's a Specialized Nimbus Armadillo and survived a good 8000 miles including local hawthorn hedge cuttings. 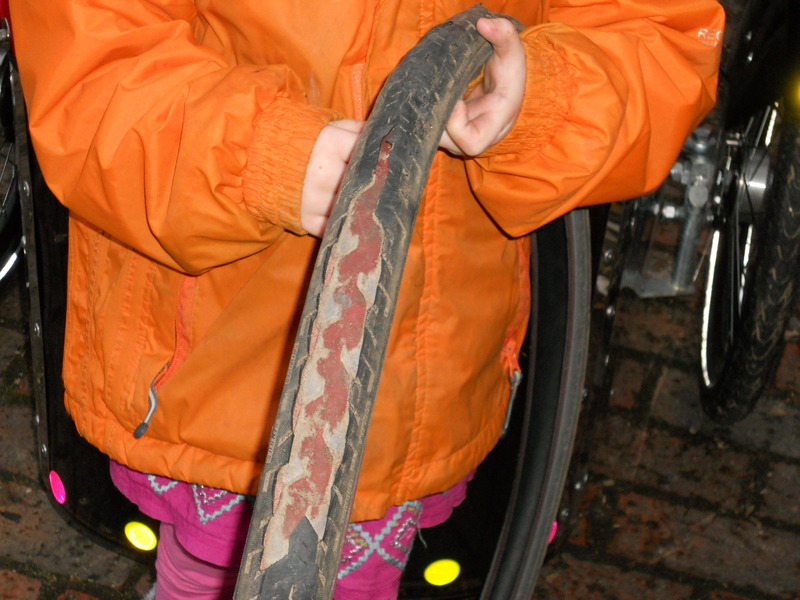 The outer tread wore so thin that it came away from the puncture proof red layer. I second that, just finished ‘saddled at sea’ wonderful, Thank you Josie, your an inspiration. I’ve read all your lovely books after serendipitously purchasing Wind in my Wheels at York station to read on the train over ten years ago. Thought of you with Japan so sadly in the news a lot just now. 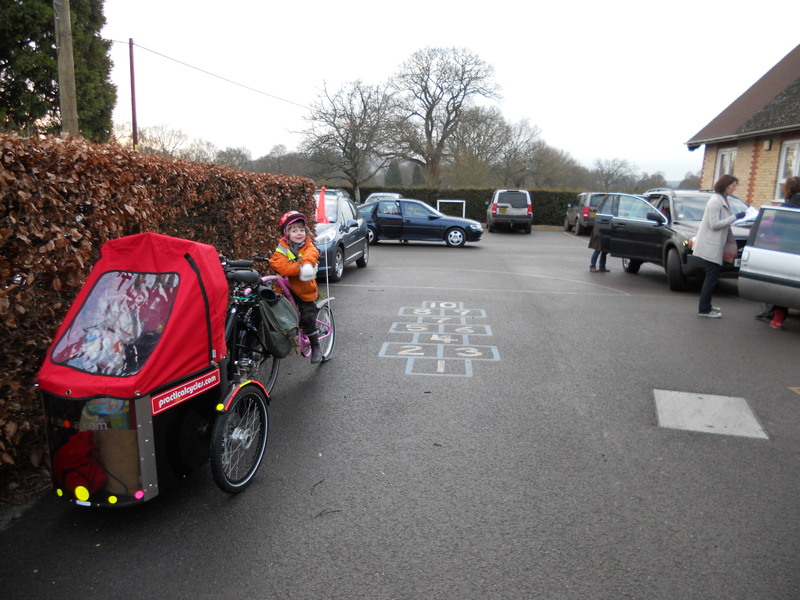 I’m sure you were familiar with the areas affected and possibly even knew people..
On a happy note..It’s a while since I was on your website so only just picked up on Daisy arriving. Congratulations on both beautiful little girls. As an obstetrician, I loved your account of having Daisy. And – as with many other comments – I do hope that there will be more books in the future..